A year ago, I was in the same position as some of you who are reading this post- doing my research on suitable options for my Masters’ degree. I had a clear idea on what I wanted to do; I wanted a degree in management that gave me equal insights into theory and practice, but I did NOT want to do an MBA, mostly because I lacked the experience. The best fit was the MiM or the Masters’ in Management or the MSc in Management (yes, I know, that’s a lot of names). Once the course was settled, I had to pick a school and so, I did a lot of googling, emailing, enquiring and searching and found enough information to make my decision. I applied to LSE and yayy, I got in! Flash forward to the present and I’m a term and a half into the course. Looking back, I realise that there were a lot of things I didn’t know before starting at LSE. So, to make your lives a little easier, here are things I (and maybe you too) didn’t know about the MiM. 1. When they say “intense”, they mean it! The MiM is structured to cover Finance, Economics, Marketing, Accounting, Operations, etc. in a span of 11-12 months. Naturally, it is VERY INTENSE. This isn’t your average masters’ course, it equips you with the ability to hit the ground running. However, payoffs are huge! Studying in such an environment helps you learn key skills such as time management, organizational skills, etc. You learn to prioritise your time spent on coursework and fun too. After all, you’re studying at one of the top universities in one of the best cities in the world, so how can you NOT feel the need to explore, experiment and enjoy! 2. Lots of industry exposure..too much, in fact! There is always a plethora of events- career fairs, talks, company presentations, talks from CEOs. Initially, it was overwhelming. ‘How do I pick which one to go to? What should I compromise on?’ are common questions. It helps if you have set career goals for yourself. For example, if you’re more into investment banking you can prioritise a JP Morgan event over say, a McKinsey consulting event. If you’re not sure, don’t worry. Most of these events get sold out almost instantly so you may not have to make the decision. I’m kidding. On a serious note, it’s good to be overwhelmed and expose yourself to as many events as possible. There’s nothing wrong with gaining a little extra information. 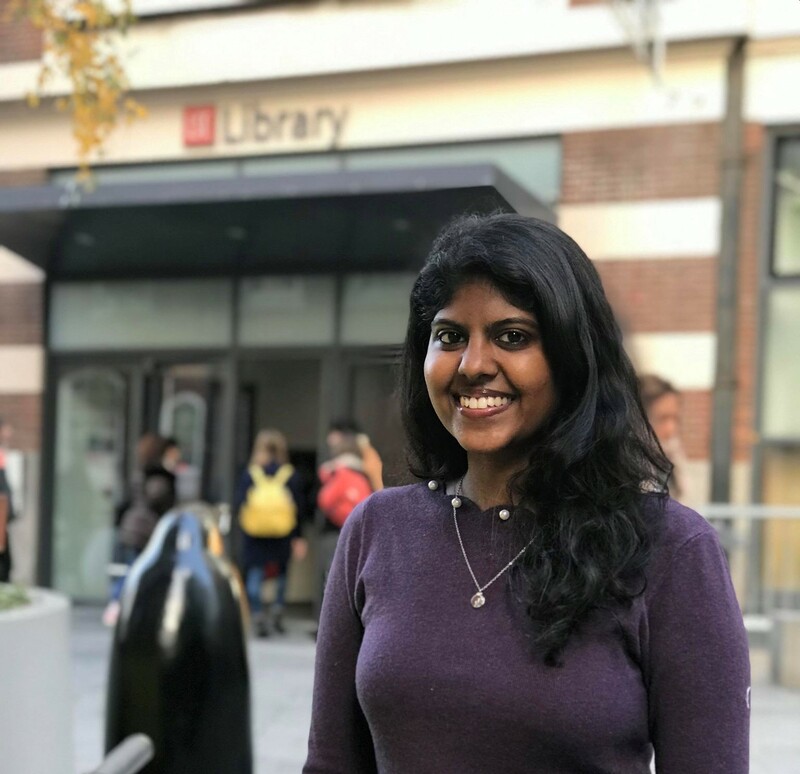 I came to LSE with an opinion about my preferred industries, but hearing talks from top officials from other industries broadened my horizons and rather than leaving me confused, it has helped shape my goals better. 3. We have fun events too! The first two points might have given a “serious” impression about the MiM. However, this isn’t the case. We have had so many soft skill related events too! One such example was the day at RADA (Royal Academy of Dramatic Art). We spent the day there learning about how to use our tools- voice, body language, etc., to make an impression on others. Especially since the MiM organizes a lot of networking events, the RADA team focused on how to ensure the people you meet remember you. We did vocal exercises, posture exercises and networking exercises. Like this, we have numerous other events based on personal development. One of our compulsory modules is called “Leadership in Practice”, where we get to work in teams and perform various fun activities. So, we have our fair share of hands-on activities that are super cool and super fun. During our first week at LSE, the MiM management team organized a city-wide treasure hunt for the entire class. The team with the best pictures (and the most creative captions) won! We have also had socials being organised at ping-pong clubs, ice skating rinks, etc. So, you see? It’s not just about coming to London, getting a degree and leaving. It’s about learning valuable skills (both theoretical and practical), building strong relationships and making memories. Maybe LSE’s MiM requires a lot of effort from your side, maybe it isn’t too “fun”. But it definitely strikes a good balance between the two. It may be a rollercoaster of deadlines and fun times, but as of now, I’m enjoying the ride. Hey there! I'm Janice from Chennai, India. I'm doing my Masters' in management at LSE. My interests include music, cooking and writing. I can answer Harry Potter trivia like a boss, sing Disney songs without needing to look at the lyrics and make the world's best hot chocolate. Great post. I just got an offer for the GMiM programme at LSE – 2019 intake. Can you please ask Someone doing that course to come up with such a post? Bad Behavior has blocked 251 access attempts in the last 7 days.